to getting to know you. You're family's health is important. We thank you for making us your choice and joining with us in caring for your dental health. By becoming our patient you have created a partnership which we hope will last through the years. Our partnership is preventive oriented and dedicated to your health. We are dedicated to our patients. Our goal is to help you feel and look your best while focusing on long-term dental health. Our office hours are patient oriented and we are available for emergency services. Because communication is important, we will advise you of treatment needs and expenses in advance. As a courtesy, we will also assist with your insurance filing. We welcome new patients and appreciate any referrals we might earn. Again, our practice welcomes you and looks forward to a long and healthy partnership with you, your family and friends. 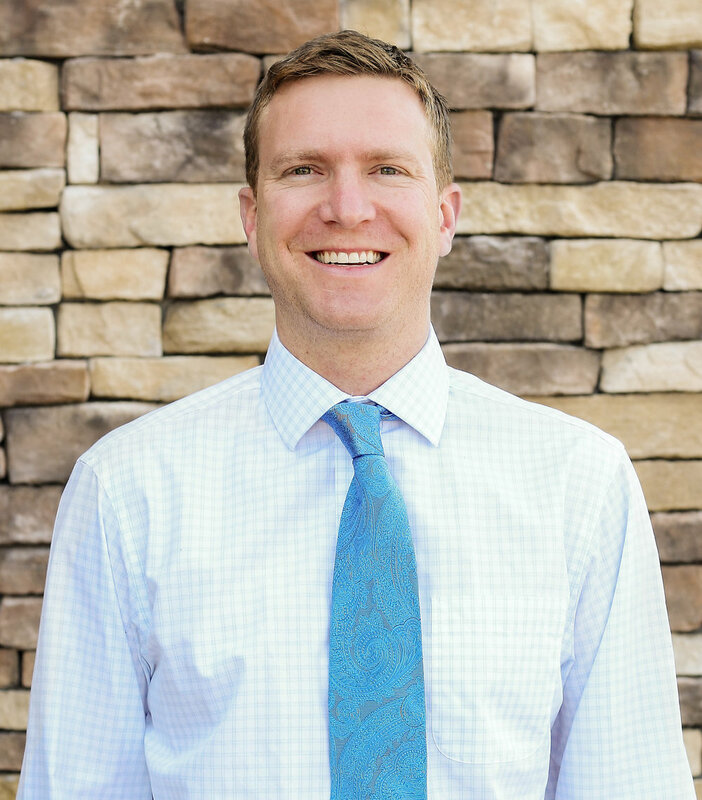 Dr. Mark, a Colorado native, graduated with honors from Temple Kornberg School of Dentistry in Philadelphia, PA. He moved back to Colorado and began treating patients in the Pueblo area four years ago. Dr. Mark practices with the latest techniques for diagnosing and treating your overall comprehensive dental needs. He is here to help you achieve the smile you deserve. highly recommend Dr. Mark Blaskovich for all your dental needs! Never had a dentist spend time explaining things to me & making me feel so comfortable. Him & his staff are very professional, compassionate, & caring. You will be well taken care of. Dr. Mark not only does wonderful dental work, he makes sure it is done right too! He takes the time to explain and make sure you have a good understanding of the work needing to be done, making the experience a lot more comforting! All his staff is very friendly and skilled. Highly recommend his dental office! Dr. Mark is an exceptional dentist that I have had the pleasure of having take care of my teeth for the past 5 years. I followed him from his old office in Pueblo, and am glad he is now even closer in Pueblo West. He pays attention to detail with his treatment. Dr. Mark took time to explain to me why it was a good idea to move forward with certain care and also where I could afford to "watch" other areas and hold off. This was not the treatment I was used to in Denver. I will be back to your office, just hopefully not too soon. Thanks! Dr. Mark is by far the best. Not only does he do excellent work, everyone on his staff is super friendly and genuinely cares about each patient. He even called to see how I was doing. I am very pleased with every experience I have had and will remain a patient as long as he is in business! Information regarding procedures and payment is made very clear up front. It truly feels like all of the staff care not only about their patient's dental health, but also as a person making one feel right at home. Also, I am very pleased at the quality of services they provide.